When someone decides “Let’s have a holiday party!” people get excited. Because, I mean, who doesn’t love a good holiday party?! But PLANNING the party? It can feel like a daunting task. Despite what you may think about the work involved, though, planning a holiday bash doesn’t have to be stressful or even time consuming. We’ve put together some simple tips to make sure that when it’s party time, you’ve still got the energy to kick back and enjoy yourself and the company of your guests. Giving yourself plenty of time will eliminate the last-minute running around and resulting chaos from eleventh-hour scavenger hunts for the perfect pine centerpiece or that strange cheese the recipe says you need. Nail the details down in advance: how many party people you’ll invite; how many will actually show up; what you’re feeding these folks and whether you want to prepare all, some, or none of it on your own; will you pretty up the party spot with décor and will you need some cocktails in hand for your guests? Think through the guest experience and write each detail down on paper. Now, you’ve got yourself a handy checklist! let’s face it, no holiday party is complete without a feast, or at least a plentiful spread of tasty hors d’oeuvres! You know what they say – the better the food, the better the experience – and when you’re in charge, that can be a great chance to make a lasting (and delicious!) impression as a host. Think about the best service style for your guests. Do you want them up and mingling about? Stations are a great option if you have the space. Are you looking for a luxurious feel set to impress some discerning potential clients? Passed hors d’oeuvres and a plated dinner are a sure bet. Something a bit more casual for an employee appreciation celebration or a family gathering? A buffet-style setup will work great for you and allow a good mix of mingling and enjoying the meal. If you’re hosting the party, will you genuinely have the time to spend shopping, prepping and cooking your ideal menu? If so, great! Take that list you made to the store and you’re all set to entertain! If, however, you feel like your talents are strongest in decorating or entertainment or mixing and mingling, don’t be afraid to bring in the experts. Partnering with a reputable caterer will take a great deal of work out of the equation for you. They will not only advise you on a menu that will satisfy and impress your guests, but they will do all the chopping, slicing, cooking, icing, plating, grating and more, leaving you to focus on the other details to help your party go off without a hitch! Our Chef-Inspired Holiday Menu is another great option. Inspired by the flavors of the season, these items that can be added or exchanged for any Saz’s Catering menu selection, adding a uniquely festive spin on a standard holiday menu. What would a holiday party be without festive seasonal-themed decorations strewn about? Tinsel, string lights, garland and poinsettias are a classic choice, but don’t be afraid to break out of the expected. If you love the Green Bay Packers and feel like green and gold are a perfect holiday palette, go for it! If it’s an icy silver and cobalt blue look for you, embrace it. Anything goes when it’s your party – that’s the fun of being the host! It’s also a great idea to stock up on holiday garb to encourage your guests to wear to amp up the holiday vibe. Santa hats and jingle bells are most definitely not just for kids anymore! 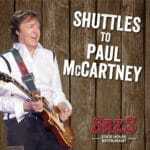 Familiar seasonal tunes, holiday cover songs, interesting takes on the classics – just keep it simple and fun! Something downtempo (but not too slow!) for chatting and catching up and upbeat numbers to get your guests moving. Because who doesn’t love a dance party? Keeping things simple will give you plenty of time to bask in the warm glow of all that fine company and the true magic of the holiday season!  For a helping hand with the planning, you can lean on Saz’s Catering. Whether a corporate affair or a social soiree, Saz’s offers full-service planning and years of experience you can count on. Give us a shout at 414.256.8765 to check availability for your preferred date(s) and let’s get this party started! See Saz’s New Holiday Menu! next post: Elevate Your Holiday Party Planning with Saz’s Seasonal Holiday Menu!